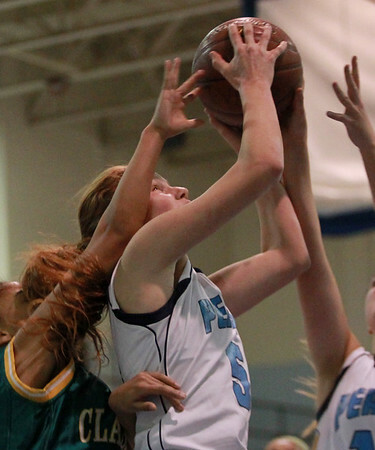 Peabody junior Christa Baker (5) grabs an offensive rebound against Lynn Classical on Friday evening. DAVID LE/Staff photo. 12/19/14.